In this tutorial, we’ll be learning about how to draws a route between two points. 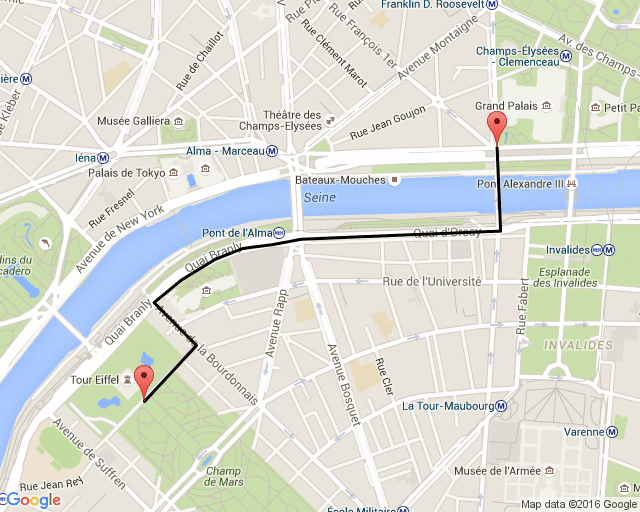 We’ll be using Google Maps Directions API in our application. Create a new Google Map API Key from the API console using the steps demonstrated in this tutorial. Use your API key here, that you created in the google console. If you are not created follow this link to create, it's a simple process. Labels: draw path, google maps, google routes, How to draw a path between two marker points? The path between two marker points.important topic using Google Maps Directions API in our application.PHP has got you covered with over 80, that's right count them, functions to provide any type of operation.Really appreciate this wonderful post that you have provided for us.Great site and a great topic as well i really get amazed to read this.Its really good.V as share good stuff with good ideas and concepts. lots of great information and inspiration.I am impressed with your site’s blog keep sharing the useful post . High Bay Led LightingMany thanks for various other amazing report. Pretty good post. I recently came across your blog and wanted to express that I have really enjoyed reading your blog posts. In any manner I'm going to be subscribing to your feed and I hope you post again soon.